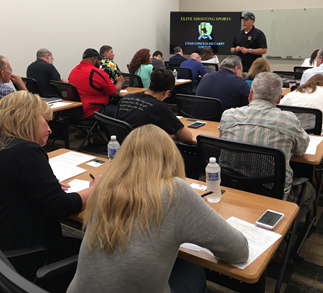 This course is taught by a Utah resident certified instructor with over 14 years of experience teaching this course for the Utah Department of Public Safety. The goal of the course is to develop a sound knowledge of applicable laws, rules and regulations and develop confidence and sound understanding in safety and practical application of the types of firearms to be concealed. The course meets the requirements for the Utah Concealed Carry Permit, recognized in multiple states. The course includes fingerprinting and the passport photo required for the permit application. PRICE: $95 (non-refundable). Must be 21 or older to take this course. SCHEDULE: The course is 4 hours in length and consists of classroom instruction. (There is no live fire range time). PREREQUISITE: A valid Virginia Concealed Carry Permit. Mike Stilwell has over 12 years is the Action Target Territory Manager/Rande Design Consultant for the Mid Atlantic United State. Since joining Action Target in 2005, Mike has developed and implemented rifle, pistol, and tactical firing ranges that followed EPA and OSHA guidelines. He also developed a full curriculum of firearms and related use of force courses for law enforcement, military, Federal and responsible citizens. Mike’s primary responsibility as Firearms Instructor was to provide overall program responsibility for all LEO Firearms and Tactical Training, Course Development, Lesson Plans, Teaching Techniques, Weapon and Ammunition Testing and Evaluation, In-Service Programs and Special Operations for range development. 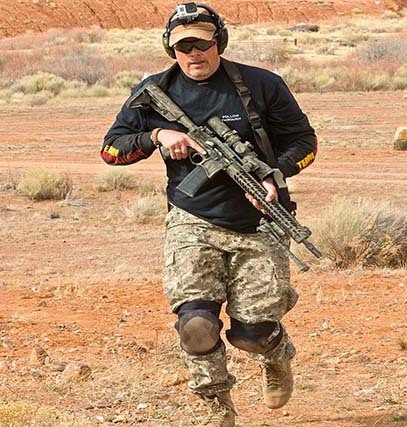 Mr. Stilwell is an active competitive shooter and shoots monthly IDPA/IPSC/GSSF shoots including 3-Gun disciplines. Read his full resume here.